Phoenix is now offering Remembrance Life, a whole life policy with some very unique riders helping your clients leave a lasting legacy for their loved ones. Phoenix Remembrance can protect those special moments in life; a child or grandchild’s birthday, graduation, going off to college or even your client’s retirement. Precision Senior Marketing is proud to be an exclusive distributor offering top level direct contracts on the complete Phoenix portfolio. The optional riders available for Phoenix Remembrance make the product unique and versatile. These benefits are discussed in greater detail in the Phoenix Remembrance Quick Reference Guide and Product Summary. To request information and get contracted on this new, innovative, product please click the “Request Information” link below or call your marketer at 800.998.7715. For agent use only. Not for use with the public as sales literature. We are pleased to announce that with Precision Senior Marketing, you now have the opportunity to offer Equitable Life's Medicare Supplement Plans. For over 75 years, Equitable Life has provided top-notch Life and Health insurance plans, backed by superior, friendly personalized service, to consumers and agents across this country. Now is a great time to add Equitable Life to your senior portfolio and provide your senior clients with some of the most competitive plans in the market. 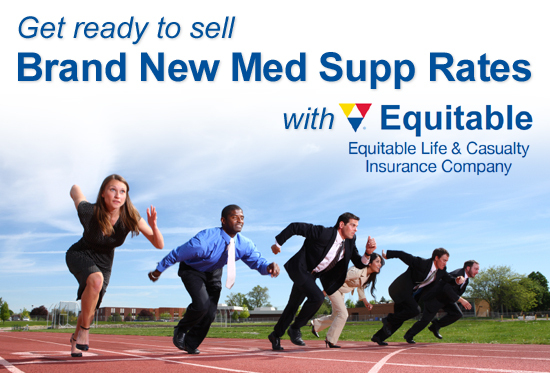 Please see the Equitable Life Med Supp Competitive Comparison for how Equitable’s rates stack up against the competition. 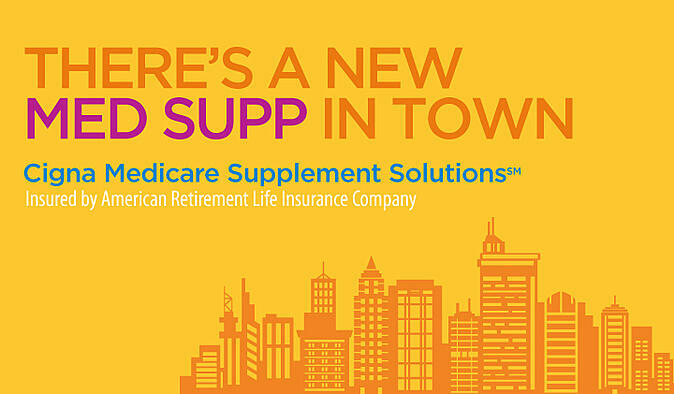 Cigna Medicare Supplement Solutions / ARLIC Medicare Supplement is now available in Alabama, Iowa, New Mexico, Oklahoma and South Dakota with more states coming soon! If you are not appointed to offer this competitive product, request information now. Cigna is one of the biggest names in the insurance industry and is releasing a new Medicare Supplement in the following states: Alabama, Colorado, Iowa, Illinois, Indiana, Kansas, Kentucky, Louisiana, Mississippi, Montana, Nebraska, Nevada, New Mexico, North Carolina, North Dakota, Ohio, Oklahoma, Pennsylvania, South Carolina, Tennessee, Texas, Utah, Virginia, West Virginia, and Wyoming. The Cigna Medicare Supplement is insured by the American Retirement Life Insurance Company, with competitive rates nationwide. When you become appointed with Cigna Supplement Benefits and take advantage of competitive rates, high commissions, online contracting, paperless application with no we signature required, clean cases are issued in 2-4 days, and daily advances available. Stay tuned for upcoming releases in CO, KY, LA, MS, MT, NE, NV, SC, WV & UT. Take advantage of this tremendous opportunity and add the new ARLIC Medicare Supplement to your portfolio today. As you get your marketing plan for 2013 together, one of the things you might want to consider implementing into your business is e-mail marketing. This can be a very cost effective way to reach prospects and connect with them early on. Whether you’ve been e-blasting for years or you are just getting started, here are a few things to use as an outline when putting your campaigns together..
Use your prospect’s first name: Most e-blast software has a personalization feature that allows you to use your prospect’s first name. When you use the first name in the subject of the e-mail studies show that a person is more likely to open it. Your message cannot be read if the recipient doesn’t open it first. Be urgent: Use a time sensitive subject like “Webinar Starts in One Hour” or “Be Sure to get this Great Product Now” in order to entice your prospect to open the e-mail and read it. Deliver exclusivity: Give your subscribers preferential treatment. If you just posted a YouTube video, for example, be sure your subscribers are the first to know. Be consistent: Send your e-mails at roughly the same time each day and keep the form consistent. This will train your audience to expect your messages, and make it easier for them to read regularly. Split testing: Curious which campaign will bring the best response? Try doing an A/B test and send one version to half your audience and the other version to the other half. Keep track of the analytics to see which gave you the best response and cater to that going forward. Less (copy) is more: Stay away from writing a long drawn out e-blast. Aim to keep them short, sweet and punchy. Include a P.S. : This could be a call to action, a quote, a statistic, or anything else you could use to grab your audience’s attention. Use a strong call to action: How do you want your prospects to reach you once they are interested? Whether it’s by filling out a form on your website or giving you a call, make sure it is obvious to your audience and easy to execute. Use a picture in your signature: People crave human connection. Consider putting a personal photograph next to your signature to remind your clients the e-mail came from you personally, and not a robot. Staying in front of your clients is important in this competitive environment. If you have any questions about e-mail marketing, what platforms to use, and where to find templates for your e-blast, feel free to call your marketer at 1-800-998-7715. Do you have any other tips to share that you've learned from doing e-blasts? Do you find they are a good way to keep in front of your clients?